Atlanta Design & Build recently had the opportunity to thank Jan Jordan, former Executive Director of Rebuilding Together Atlanta (RTA), for the incredible good she has done over the years for so many others. Rebuilding Together Atlanta (RTA) is a non-profit organization that we at Atlanta Design & Build applaud and help support. Volunteers from the Georgia Power Company and leaders in the community started RTA in 1992. RTA works to assure low-income homeowners, particularly older adults, military veterans, and people with disabilities live in warmth, safety, and independence. Everything is provided for free to these individuals. The goal is to make a sustainable impact in partnerships with communities. Dale Contant holds the purpose of RTA in such high regard that he served on their board for several years. During Jan’s time as Executive Director, there was an increase in new organizational partnerships such as major volunteer groups, civic clubs, skilled trade groups, housing organizations, and the City of Atlanta. A corporate partners program was developed that provided funding which allowed RTA to do even more in the twenty-two communities it served. “My best experiences and memories were seeing the look on homeowners faces after we finished a rebuild,” Jan shared. Camille Kesler, current Executive Director of RTA, revealed that the organization has always wanted to return the favor to Jan. So as a gift, they hired a lawn care company to work on Jan’s three acre yard. For two days and with a crew of five, the overgrown ivy was removed, limbs and debris removed, the lawn mowed, mulched and new pine straw installed. “My husband Carl and I will always be grateful for this gift from ‘Team RTA’,” Jan emphasizes. Atlanta Architects magazine recently created a list of the best kitchen remodelers in Atlanta. We are excited to announce that Atlanta Design & Build was chosen as the 5th Best Kitchen Remodeler in Atlanta! We invite you to view the ranking and see a photo and description of one of ADB’s recent award-winning kitchen remodels. The article also mentions our teams’ numerous credentials, our proprietary HomeStyle® System, and additional awards received. We are honored to receive this recognition as another validation for why you can count on us to give you the exceptional kitchen remodel you’re envisioning for your home. Atlanta Design & Build is also pleased to announce that we placed at #158 on the Remodeling 550 list for 2018. The Remodeling 550 list includes the industry’s top full-service remodelers across the nation. We want to thank you, our clients, for trusting us with your magnificent projects. Without you, we could not continually achieve this Remodeling 550 status. We appreciate your business, but even more we treasure the relationships we have built with you over the years. Our entire Atlanta Design & Build field team took advantage of the opportunity to attend the National Association of the Remodeling Industry (NARI) 8th annual Cutting Edge Event. This year’s event took place on May 8 returning to the Cobb Galleria, Atlanta Marriott Northwest and featured an incredible line up of top-notch speakers and programs. The NARI-Atlanta Cutting Edge was a full day of continuing education during which our team members attended six different one-hour sessions delivered by industry experts. The course offerings were divided into four tracks: Business, Building Technology, Design, and Environmental (Green) Sustainability. ADB recognizes the importance of encouraging our remodeling crews to achieve their potential and grow both personally and professionally. Continuing education benefits each of our team members as they are able to develop new skills or sharpen current ones. For ADB team members who hold NARI certifications or are preparing to become certified in the future, continuing education is a requirement. As you are searching for the best remodeling company to work on your home, it is critical that you choose a company whose expert teams are certified in the field of remodeling. Our team members have proudly earned the following NARI certifications: Master Certified Remodeler, Certified Remodeler, Certified Kitchen and Bath Remodeler, Certified Remodeling Project Manager, Certified Lead Carpenter, and Universal Design Certified Professional. Raise the Roof Whole House Remodel is a CotY Award Winner! In December, we were honored to receive a 2017 NARI-Atlanta Contractor of the Year (CotY) Award in the Residential Interior Over $150k category. This amazing project, affectionately referred to as “Raise the Roof” in our Atlanta Design & Build blogs last year, has given us yet another reason to be proud! Read through this story’s progress for before, in-progress, and behind the scenes looks. As you may remember, our clients’ 1960s split-level home in Chamblee was outdated in appearance and in its functionality for the family. 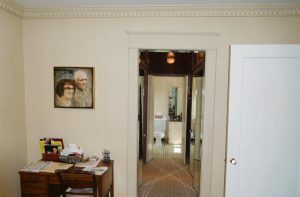 The main level consisted of four small, compartmentalized rooms with numerous doorways and walls that caused congestion points and prevented family togetherness. The tiny kitchen provided only minimal workspace or storage. By raising the roof and removing interior walls, we created an open floor plan with an impressive vaulted ceiling. The updated space features an incredibly beautiful kitchen offering optimal organization in its perimeter and island cabinets. The kitchen, dining room and TV area now flow together seamlessly. The large open area accommodates family gatherings and entertaining through three distinct functional areas, each designated by a stylish and purposeful element. In addition to the award-winning interior, Atlanta Design & Build transformed our clients’ back porch into an outdoor living space. We enlarged and screened their existing porch and added a stone fireplace that allows them to enjoy relaxing on the porch almost all year long! We are grateful to our clients for giving us the opportunity to design and build this marvelous space, which culminated in our team receiving this CotY award! 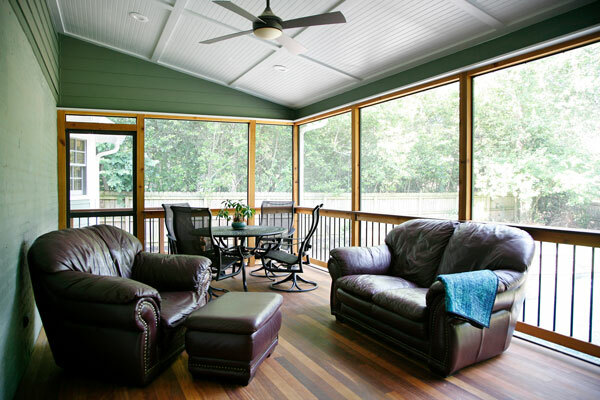 Be sure to contact Atlanta Design & Build if you desire a renovation to the interior of your home or an outdoor living area. Spring will be here before you know it. We Ensure Your Remodeling Project is Done Right! Some homeowners are reluctant to remodel because they’ve heard horror stories about dishonest, inexperienced, fly-by-night remodeling companies. Atlanta Design & Build has a very different story to tell. Our Core Values describe our passionate dedication to Quality, Integrity, Teamwork, and Community. Through Guild Quality reviews, past clients tell how our actions prove that we adhere to these same values. As NARI Certified Remodeling Professionals, our team has achieved a level of knowledge and expertise that far exceeds that of your everyday remodeler or handyman. Each certified team member must meet annual recertification requirements involving continuing education and participation in industry-related programs. 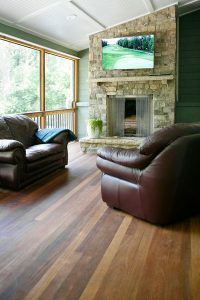 Atlanta Design & Build is proud that our team boasts the following NARI certification credentials: 1 – Master Certified Remodeler (MCR), 1 – Certified Remodeler (CR), 1 – Certified Kitchen and Bath Remodeler (CKBR), 4 – Certified Remodeling Project Manager (CRPM), 2 – Certified Lead Carpenter (CLC) and 1 – Universal Design Certified Professional (UDCP). Congratulations Dale Contant, Mike Pike, Jamie Franks, Steven Roberts, Dave Newell, Sydney Contant on your continued hard work. Steven, one of our Sales & Design Consultants, also recently completed a two-day intermediate training seminar with Chief Architect Software in Nashville, TN to hone his skills in working with this 3D Architectural design tool. We applaud Steven that his ADB Core Values are showing! These are just two of the many ways Atlanta Design & Build is continually working to ensure your remodeling project will be done right! 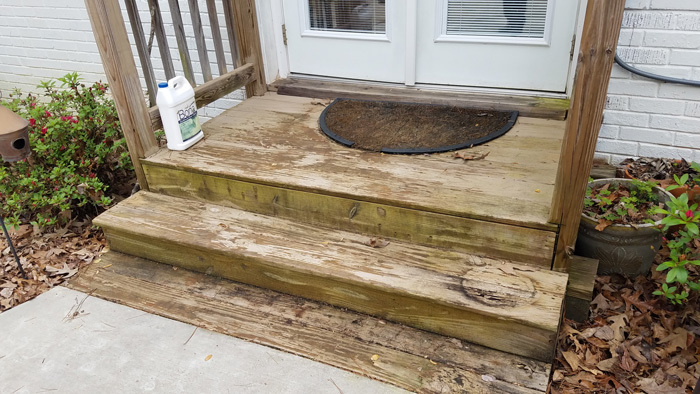 So, no more remodeling hesitation is necessary—go ahead and give us a call at 770-565-8999 or visit our website to get started.